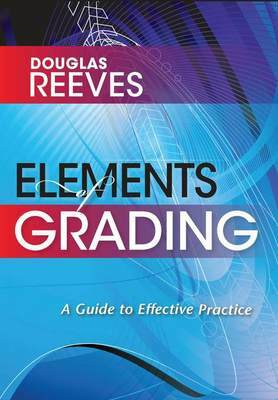 In his book “Elements of Grading: A Guide to Effective Practice“, Doug Reeves synthesizes the research on effective grading practices by proposing 4 essential boundaries. He suggests that these should serve as the basis for exploring the effectiveness of how we grade students in our schools. Each of the above quotes were taken from the introduction to Reeves’ book and essentially outline the premise of his book. Each of these boundaries and the correlating research is laid out in-depth in the subsequent chapters. The research on best practices in grading has been consistent for over 50 years. Yet, much of it has not fully permeated our profession. A careful reflection of our practice as it pertains to grading and each of these boundaries will ensure that our grading practices support student learning to the best of our abilities.